The Robins are sixth while the Latics are now just two points clear of safety. The 30-year-old striker has won nine caps for the Republic of Ireland. Cardiff City manager Neil Warnock describes Anthony Pilkington's late equaliser against Sheffield United as "fantastic". Cardiff City defender Sean Morrison says that the team's second-half performance against Sheffield United was good enough to earn them a point. Relive Sports Mole's live text coverage of Sheffield United's 1-1 draw with Cardiff City, as the Bluebirds snatched a 1-1 draw against the run of play. Cardiff City defeat Championship bottom club Sunderland 4-0 to move into second place, as the Bluebirds put in a dominant performance to secure a first win in five. Cardiff City close the gap on Championship leaders Wolverhampton Wanderers back to four points courtesy of a 1-0 win over Hull City in South Wales. Lee Peltier makes his first start since January as one of three Cardiff City changes from last time out, while Nottingham Forest are boosted by the return of Danny Fox. Jiri Skalak replaces Anthony Knockaert for Brighton's trip to Cardiff City. Cardiff City confirm that forward Anthony Pilkington has signed a two-year contract extension at the Championship club, keeping him there until 2019. Chris Lines scores a 115th-minute winner to hand Bristol Rovers a 1-0 win over Cardiff City in the first round of the EFL Cup. Sports Mole looks ahead to Friday's international friendly between two sides gearing up for Euro 2016, the Republic of Ireland and Switzerland. A controversial Paul Caddis penalty hands Birmingham City a first win in six games at the expense of fellow playoff hopefuls Cardiff City. Cardiff City take a two-goal lead in at half time against Sheffield Wednesday in the Championship. Kenwyne Jones starts up top for Cardiff City as they host Sheffield Wednesday in the Championship. Sports Mole previews Saturday afternoon's Championship clash between promotion chasers Cardiff City and Sheffield Wednesday. Cardiff City emerge victorious against Bolton Wanderers in a five-goal thriller, as Anthony Pilkington's volley wins the tie for the Bluebirds. Anthony Pilkington starts on the wing ahead of Peter Whittingham for Cardiff City, while Gary Madine begins up front for Bolton Wanderers due to Max Clayton's injury. John O'Shea and Shane Long stay with the Republic of Ireland squad for the Euro 2016 playoff with Bosnia-Herzegovina despite both players struggling with injuries. Reading make five changes to their side as they travel to Cardiff City. Sports Mole previews Saturday afternoon's Championship clash between Cardiff City and Reading in South Wales. Relive Sports Mole's live coverage of the Championship match between Cardiff City and Bristol City. Cardiff City manager Russell Slade reinstates Aron Gunnarsson to his starting XI ahead of Tuesday night's Championship clash against Middlesbrough. Sports Mole previews the Championship encounter between Preston North End and Cardiff City. Sean Morrison completes Cardiff City's comeback against Charlton Athletic as the Bluebirds win 2-1. Cardiff City and Charlton Athletic create several chances in the first half, but reach the interval on level terms. 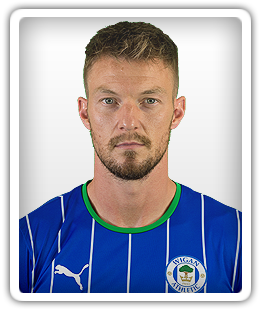 Anthony Pilkington reveals that he requested to be excused from international duty with the Republic of Ireland in order to focus on work at Cardiff City. Sports Mole previews the Championship clash between Cardiff City and Charlton Athletic. Sports Mole looks ahead to Tuesday night's Championship clash at the Cardiff City Stadium as Cardiff City host Hull City. Huddersfield Town manager Chris Powell believes that his side performed well against Cardiff City this afternoon, but needed to score when they were on top. Second-half goals from Anthony Pilkington and Joe Mason give Cardiff City a 2-0 win against Huddersfield Town in the Championship this afternoon.